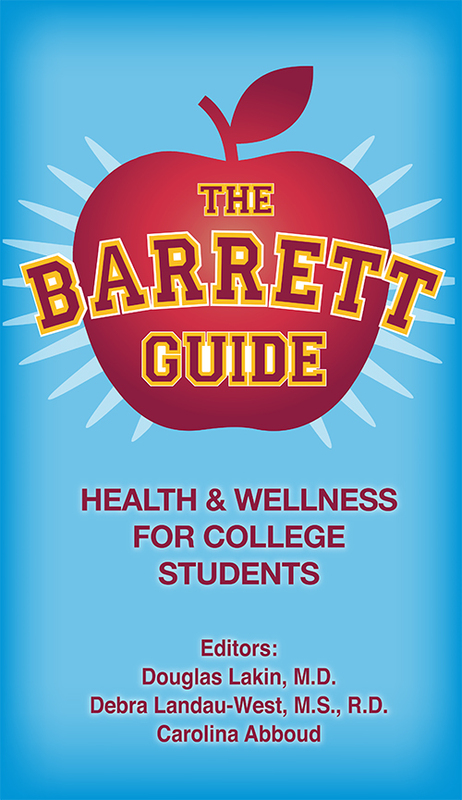 I’m excited to announce THE BARRETT GUIDE: Health and Wellness for College Students. This easy-to-use guide has been developed by myself, Debra Landau-West (a nutritionist), and students at the Barrett Honors College at ASU. It is meant to provide practical information for college-age students at ASU and other universities across the country. It’s a Free iBook available for Apple Phones. Get the iBook App and then search for THE BARRETT GUIDE and download the iBook.